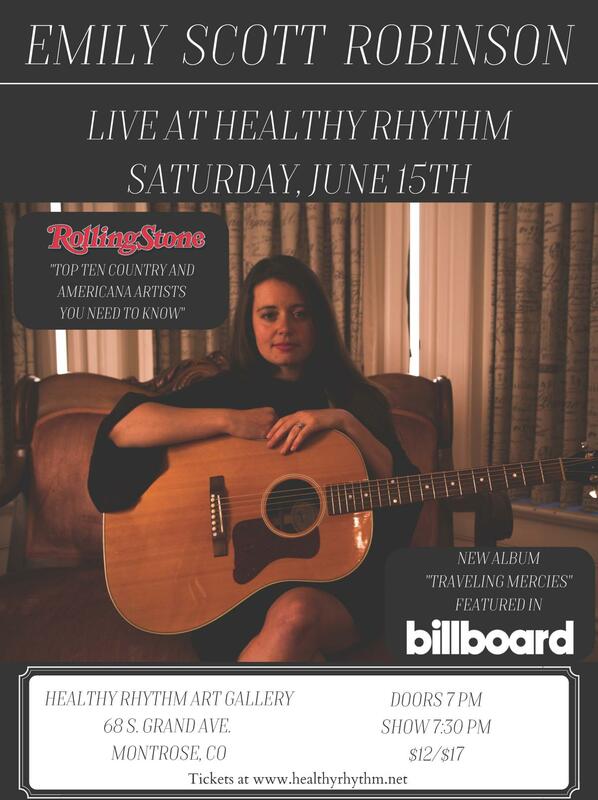 HRMS Presents "Emily Scott Robinson :: 'Traveling Mercies' Album Release Tour"
Healthy Rhythm Music Services Presents "EMILY SCOTT ROBINSON :: ‘TRAVELING MERCIES’ ALBUM RELEASE TOUR" • Saturday evening, June 15th, in The Listening Room of Healthy Rhythm Art Gallery, located at historic Sampler Square (68 S Grand Ave) in downtown Montrose, Colorado! North Carolina native Emily Scott Robinson has traveled a quarter million miles plus, paying her dues along the dusty highways of America’s wild country in the RV she calls home. 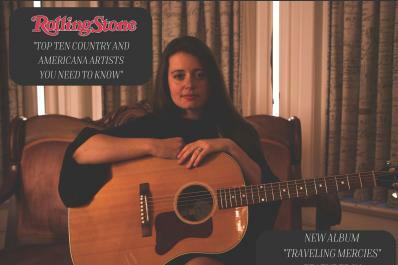 Along the way, she’s captured the stories of the people she met and expertly crafted them into the songs featured on her gorgeous debut studio release, “Traveling Mercies.” Named one of Rolling Stone’s “10 New Country and Americana Artists to Watch” for 2019, Robinson received critical acclaim from Billboard, No Depression, and American Songwriter for the stories captured on her new album.